Whether we are building a brand, creating integrated marketing communications programs or designing effective sales collateral and websites everything we do at Swimmer begins with strategy. We discover your needs and goals from the very beginning. Then we translate them into cohesive plans, meaningful messages and impactful design. The result? 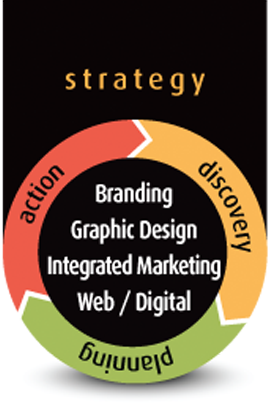 We take action and come full circle to deliver smart marketing solutions that help you to succeed.